The Metro Power III is a transportable power wheelchair that provides an affordable alternative to scooters and high end chairs for qualified end users. 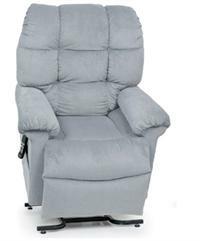 It is a more traditional chair with effortless maneuverability both inside and out. All of our Power Chair, Electric Scooter or Power Wheelchair equipment are thoroughly cleaned and disinfected after every rental. They are cleaned to meet all local, city and state public health requirements. Our cleaning procedures available upon request. Our qualified sales staff will help you assess your requirements based on your your height and weight and your seating needs. Bradford Medical Supply will respond quickly to help you and your family select the right equipment. If you have any questions at all, please don't hesitate to contact us toll free at 877 580-5757. We will set up an appointment for a personalized demonstration at our showroom. 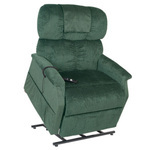 Bradford Medical Supply will respond quickly to help you and your family select the correct Power Chair, Electric Scooter or Power Wheelchair equipment. Bradford will help you assess your power chair, electric scooter or power wheelchair equipment requirements and will respond to help you and your family select the mobility chair equipment that's right for you. If you have any questions at all, please don't hesitate to contact us toll free at 877 580-5757. 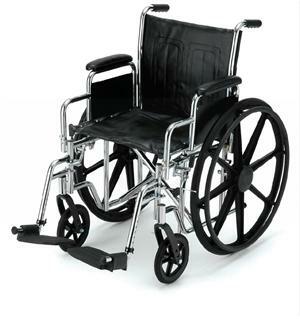 For a detailed discussion regarding the basics of buying and renting Power Chairs, Electric Scooters or Power Wheelchair equipment click on the following link that takes you to the Power or Mobility Chair Rental and Buying Guide.